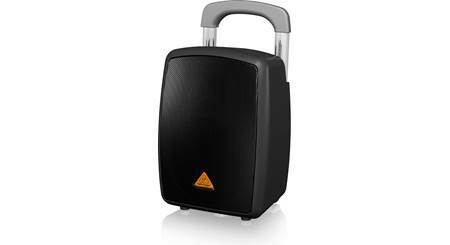 Behringer designed their B205D powered speaker to do double duty as a personal monitor or personal PA system. 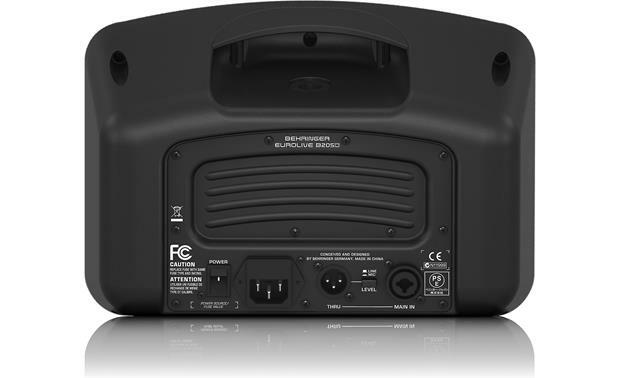 Behringer designed their B205D powered speaker to do double duty as a personal monitor or personal PA system. 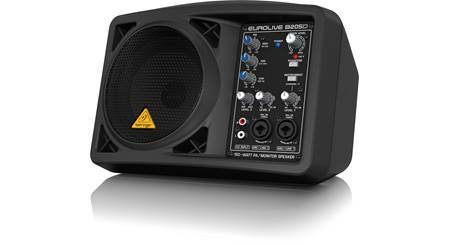 Its compact enclosure houses an efficient Class D amplifier that delivers 150 watts RMS to its 5-1/4" neodymium speaker. 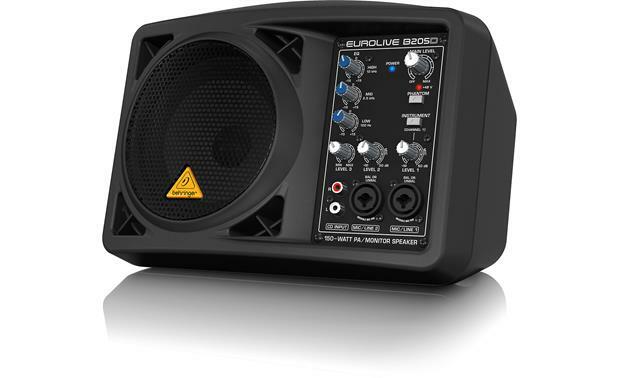 It can serve as a small portable PA for conferences, a reference monitor for a home studio, or a live monitor for a vocalist or keyboard player. But there's more. Compact, well organized controls make the B205D simple to use. The B205D includes a 3-channel mixer, with two mic/line inputs and a stereo RCA input for CD players and streaming devices. Two channels feature microphone preamps, and one features an "Instrument" switch which allows you to plug in without a direct box. The B205D also offers an integrated limiter for speaker protection, and an XLR Through connector with a mic/line switch for linking additional B205Ds. The B205D is housed in a rugged plastic enclosure with an integrated carrying handle; you can also mount the B205D on a microphone stand or on a boom. The cabinet is angled so you can also use the B205D as a floor monitor. Rugged, portable, and convenient, the B205D is Behringer's answer to the question "How much PA can you carry with one hand?" 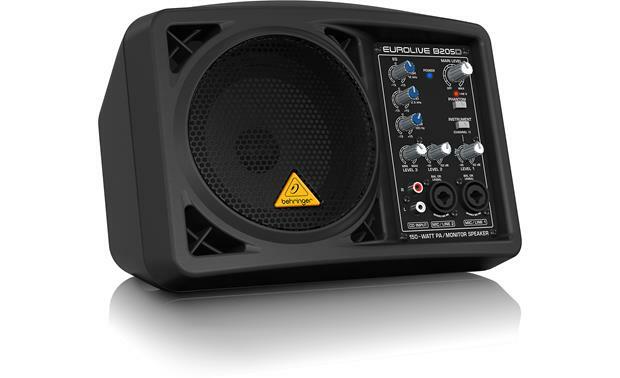 Overview: The Behringer Eurolive B205D is a small, portable all-in-one PA system. 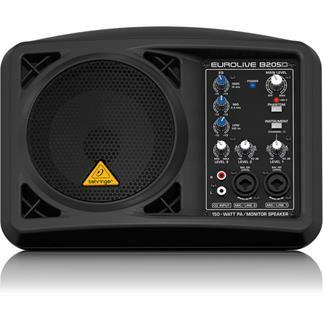 It features a 150-watt Class D amplifier with a 5.25" full-range driver. 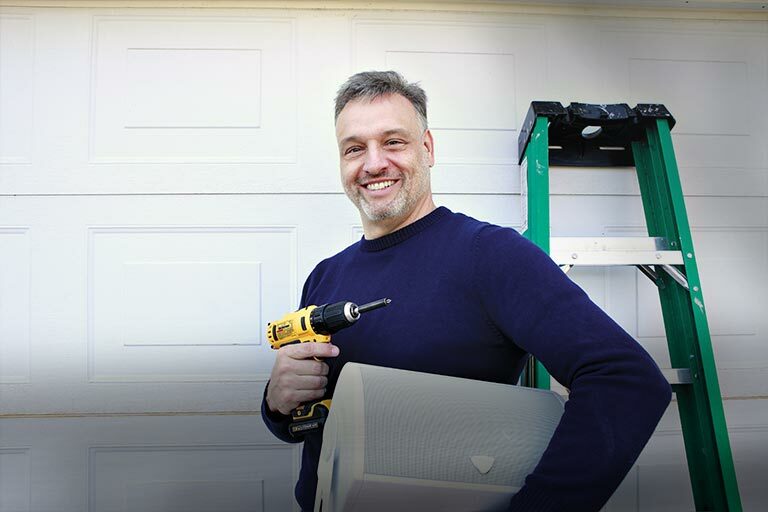 With an integrated handle in the top, the 7-pound B205D can be taken virtually anywhere. Inputs: The B205D has 2 "Invisible" mic preamps with XLR Combo connectors. Both inputs can be used for line level inputs, and one can be designated as an Instrument input. You can switch on +48V Phantom power when you're using condenser microphones. The B205D also has a stereo RCA input for connecting a CD player or other music source. All three inputs have independent rotary level controls, plus there is an main level control. EQ: The B205D has a 3-band equalizer that lets you adjust the level by + or - 15dB at 100 Hz (Low), 2.5 kHz (Mid), and 12 kHz (High). Link: The rear panel has a female XLR plug marked "Thru" for routing the signal to another speaker or device using a balanced cable. The Thru jack draws the signal from just before the Main Level and EQ section. In addition, an XLR Combo jack marked "Main In" lets you connect the Thru signal from another speaker using a balanced cable with a female XLR or balanced 1/4" TRS plug. With these two connectors, you can add a second B205D or similar unit to use as another speaker for your system. Mic Stand Mounting: The B205D can be mounted onto a microphone stand using the included hardware. The unit can be placed near the top of the mic stand just below the mic clip, or, for better balance, at the bottom of the mic stand just above the base. The hardware includes standard 5/8" mounting threads, and includes 5/8"-to-3/8" and 3/8"-to-5/8" thread adapters. 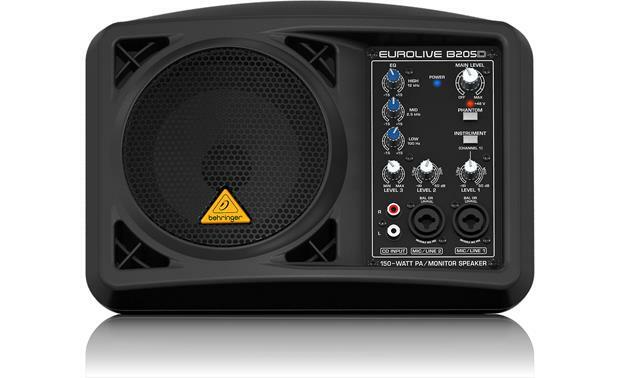 Dimensions: Width 11.191", Height 7.875", Depth 8.125"
are there any current coupons for the Behringer B 205 D PA speaker ? 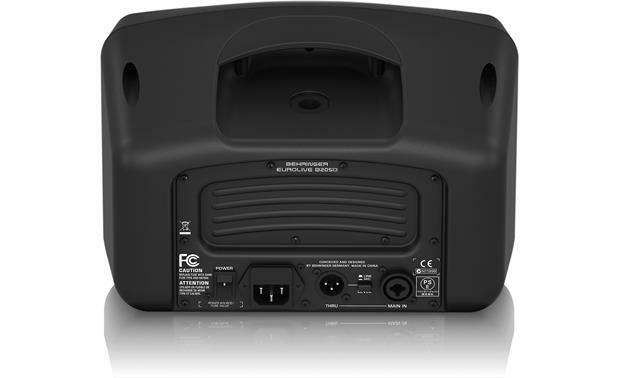 Searches related to the Behringer B205D — 150W peak Compact powered PA speaker/personal monitor.